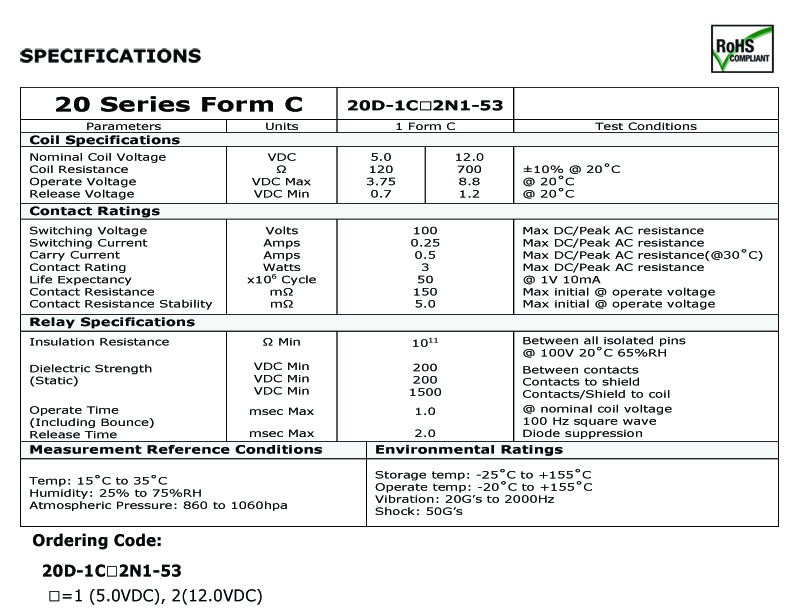 With proven track of reliability, the 20D Series 1 Form C relay has been on the market for more than 28 years. Now Sanyu has added on this series to suit to the need of high operating temperature up to 155 ˚C with high reliable life expectancy performance. From C contact relays ideally suited to the meet of ATE, IC testing and probe card demands multiplexer and tree measurement circuit.